The word is starting to get out! We’re opening Akron’s FIRST Ghost Restaurant right in the middle of Highland Square!! We are incredibly excited for this opportunity to continue to grow our roots within our home base and community. Alright, so what the hell is a Ghost Restaurant anyway? First things first, the main question that we are getting is “what is a ghost restaurant / kitchen?” Ghost Kitchens are a newer food industry trend popping up in larger metropolitan areas like L.A, New York City, Chicago, and even parts of Europe & Canada. 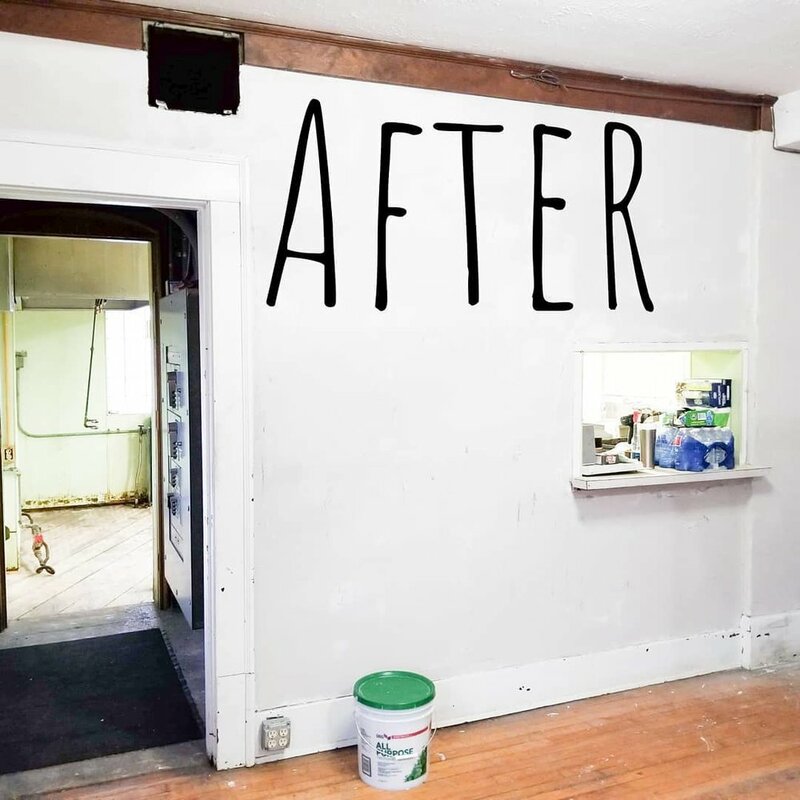 Essentially Ghost Kitchens offer an elevated, higher-end experience & menu than your more traditional delivery / take out location & fast food establishments. 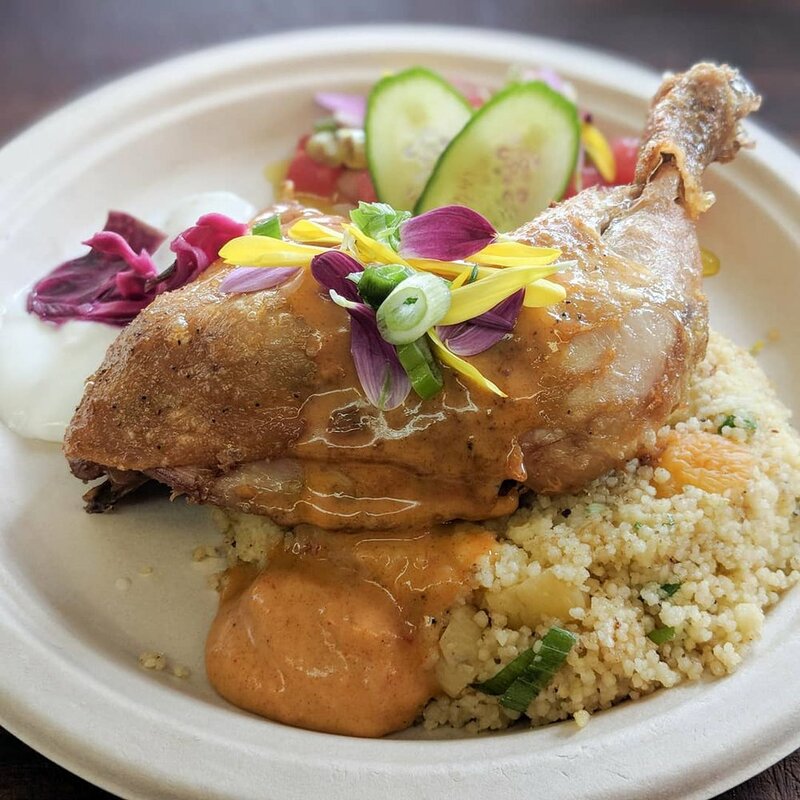 Typically a Ghost Kitchen is an “online only” delivery service of chef-driven, restaurant quality food, and often only use third party app delivery options such as Ubereats, Doordash, Grubhub, Postmates - etc. With an online only business model, Ghost Restaurant owners very rarely reveal their actual kitchen location, and the interactions between the restaurant and its customers are very minimal. 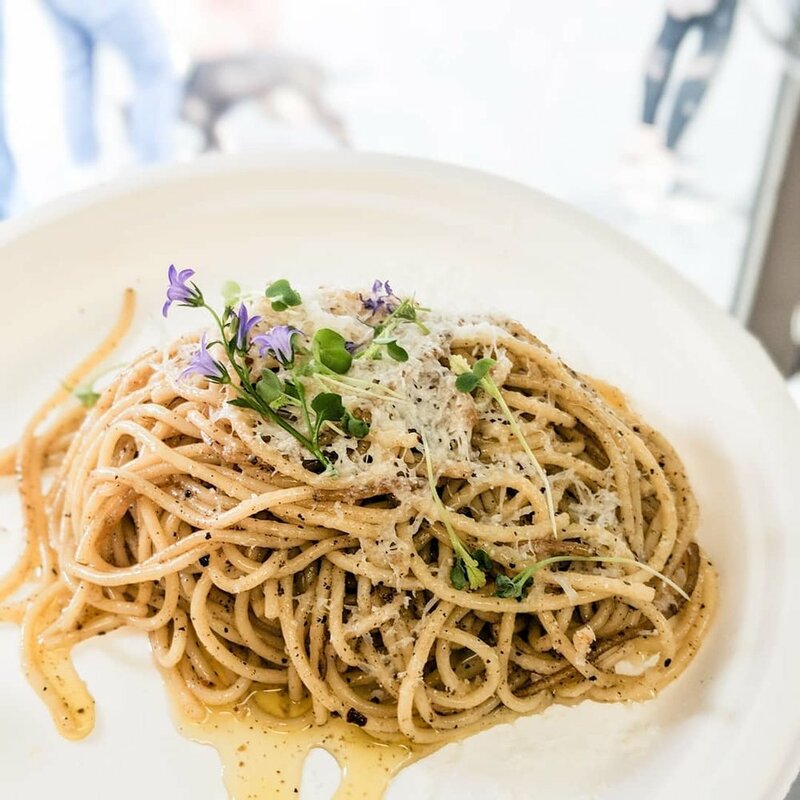 In some cases in much larger cities, there are multiple Ghost Restaurants in one commissary kitchen location which is shared by many chefs, offering a handful of different menus. It’s really a cool concept that allows business owners to try ideas out, operate as a normal restaurant does, but removes the overhead of the front of the house and stress of scoring prime real estate. Essentially it’s an amazing way to test out the market without the financial extremes that can come with a traditional eat-in / full service brick & mortar, especially in the much larger cities. We are altering what a Ghost Restaurant / Kitchen means to us personally and professionally due to our location. Because we landed a kitchen that is located right smack dab in the middle of Highland Square, we have decided that we will also be allowing pick-up orders as well. We have a main entrance / side room off the back of the building which is connected to the kitchen, and has a super awesome pick up window already built in! 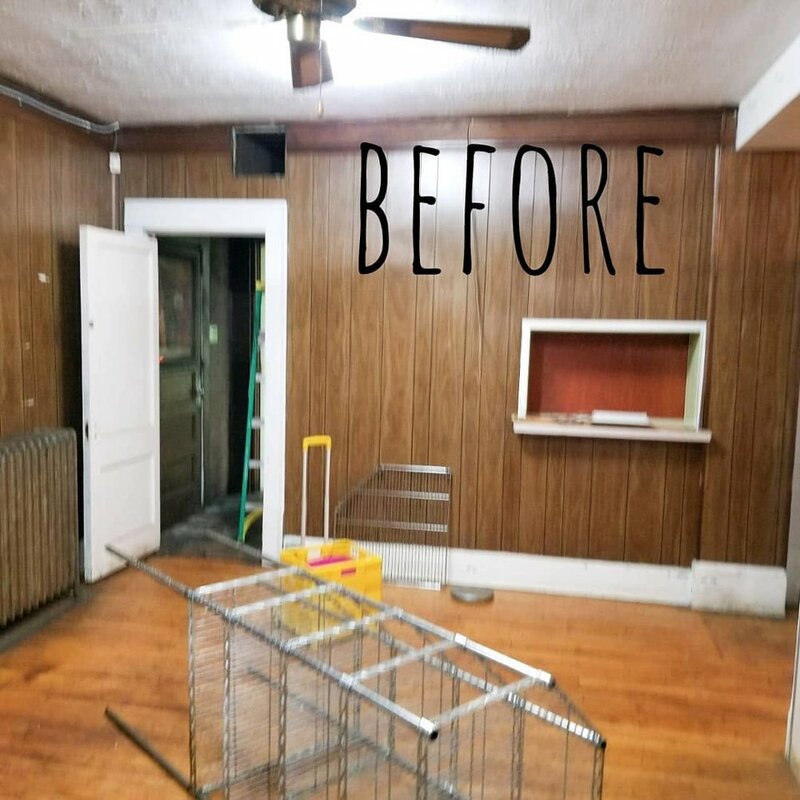 We will be able to design this space with time to serve as a waiting area for pick-up orders, a meeting area for catering tastings, but also most importantly an introduction to what a future Square Scullery full service restaurant will resemble down the road. This opportunity allows us to continue to grow within our own city & community in a unique way, all the while having the ability to bring yet another new & awesome food industry concept to Akron. What about the Food Truck? Don’t worry, Big Ole’ Betty isn’t going anywhere. We fully intend to run & operate the truck as normal in 2019, one major difference will be that you can regularly find us & grab our food year round now without always having to hunt down the truck. 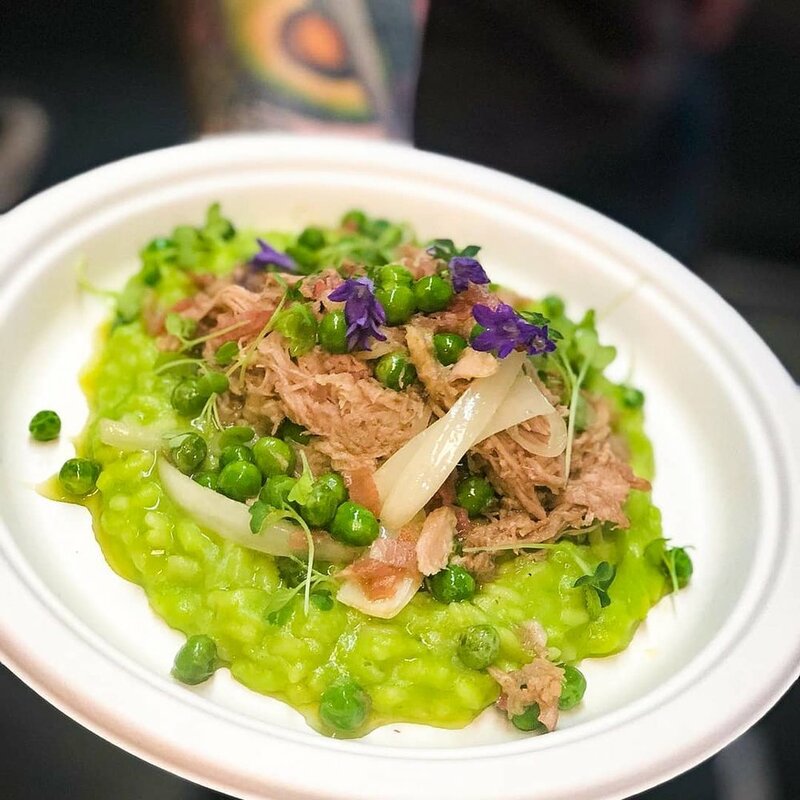 Another difference is that we will be putting more focus into private events / catering with the truck, but don’t worry, we will still be at your favorite public events like Porch Rokr, Akron Pride, The Taste of Akron, and so forth too. What’s with the Octopus and what does Scullery mean? 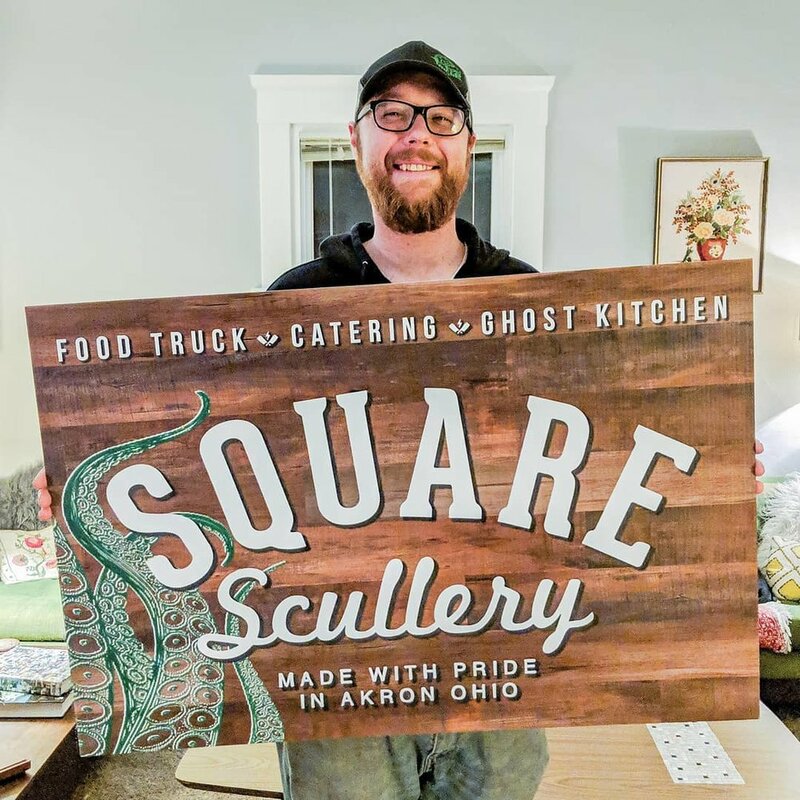 A quick backstory if you aren’t already fluent with what our name actually means: Square represents Highland Square, and Scullery essentially means a small kitchen or a prep kitchen, which also historically carries nautical / naval roots. Our name Square Scullery has always meant Highland Square’s Little Kitchen (on wheels) to us. When we got rolling 4 years ago we put a lot of time and love into picking a name that best suited us but also represented our deep roots to Akron. Now with opening a Ghost Restaurant, we think our name is even more relevant than it even was before, we literally are Highland Square’s Little Kitchen (on and off wheels). 4 years in now, and we decided it was time to finally switch up our branding - have a little fun & get weird with it - why not? All your badass favorites from the truck, and then some! 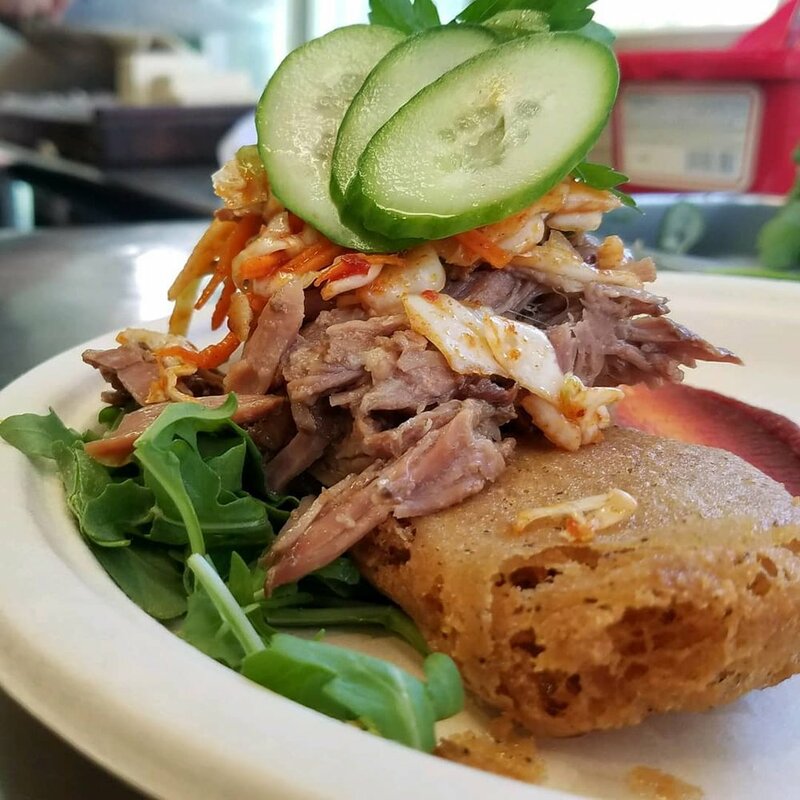 Over the past few years we’ve been able to run incredibly unique and innovative concepts & menu items, especially for a food truck in Northeast Ohio. Our menu truly won’t be changing persay, we will just have the ability to run larger menus than we can off of the food truck. Just like the truck, we will still have plenty of options for everyone and accommodate to several different dietary needs such as gluten free, dairy free, vegan, vegetarian and of course our meat eaters too. 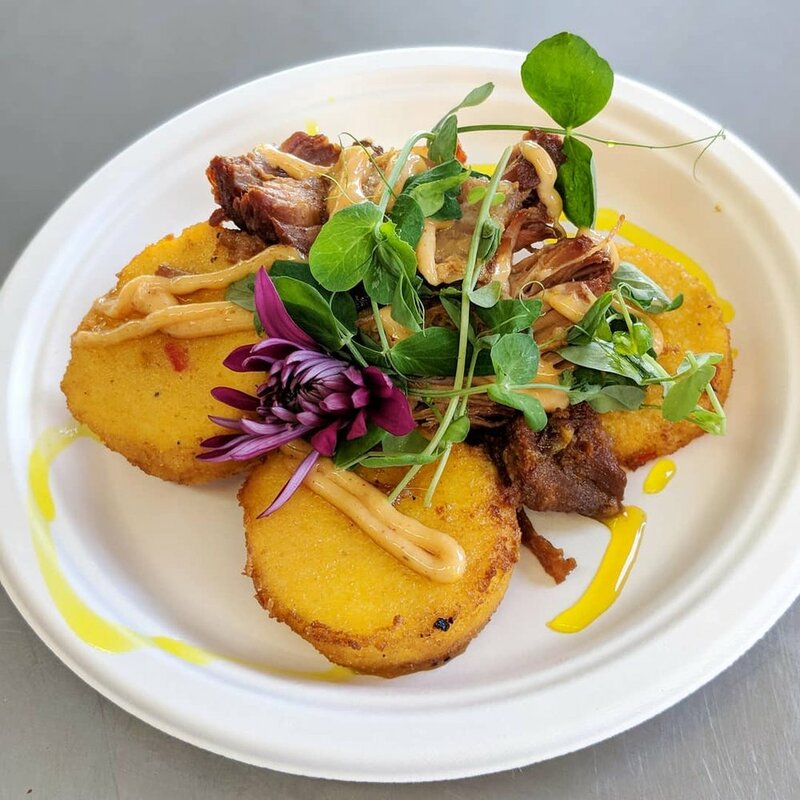 For the past four years we have always strived to be incredibly accommodating and offer something for everyone regardless of their diet or restrictions. That doesn’t stop or change with this new expansion, but will only continue to grow. In a perfect world we hope to be open sometime in Mid-Late January. However with that said, because we have found ourselves in a complete kitchen remodel and revamp situation, we’re already a couple months behind our original planned schedule, and still have a lot of work ahead of us. It’s not a bad thing though, we look at it as a completely new fresh start for our next chapter. We are taking each day as it comes, and as soon as we can really start pinpointing some of the final details to share, we absolutely will! Where will you be? What are your hours? Our new address is 783 W. Market St, Akron, OH, 44303 - we are located RIGHT on W. Market St in the middle of Highland Square. (Across the street from Aladian’s & Angel Falls) Our entrance will be at the back of the building there. We have moved into the American Legion (Post 19) We are excited to work closely with them in the future, and even plan to help put together a restaurant industry training program for Veterans. It’s all incredibly exciting! We are SO excited to be taking this next step! Updates to follow, and we’ll see you all soon! Thank you for your continued love & support, it means the world to us! Wanna know more? Please don’t hesitate to reach out to us!